Add forwarding options to Mail. Is there a better alternative to Smart Forward? Is Smart Forward really the best app in Email category? Will Smart Forward work good on macOS 10.13.4? 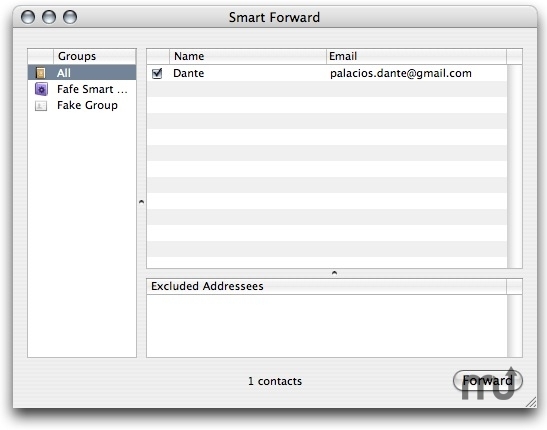 Smart Forward allows you to forward a selected message in Mail excluding the sender and the recipients of the original message. Some error handlers were added, just in case. Smart Forward needs a rating. Be the first to rate this app and get the discussion started!